Cathedral Three-Stone Round Diamond Engagement Ring | Shane Co.
Twelve round diamonds, at approximately .32 carat total weight, serve as accents to the center diamond of your choice in this sparkling cathedral setting. 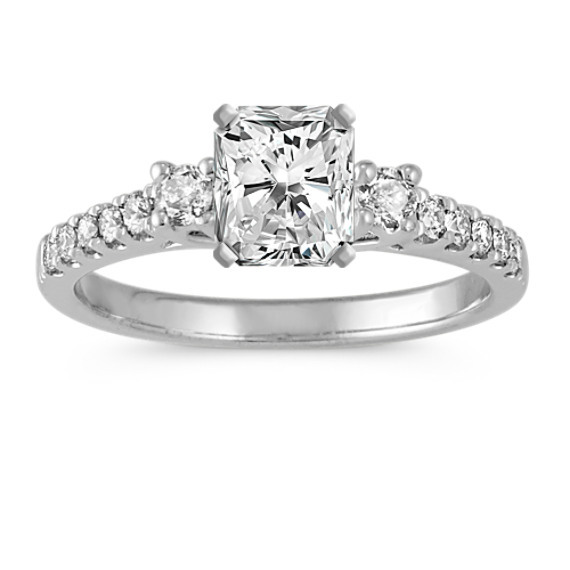 Each diamond was hand-selected for exceptional fire and brilliance, and is set in superior quality 14 karat white gold. The sparkle on this ring is beautiful!!! I found a wedding band at Shane Co that looks great with my engagement ring and I cannot wait until the day I can wear them together!